On this day in 1846, the Donner Party loads up its wagons in Springfield, Illinois, and begins the long trek west, for California. In Colorado, they get caught in a box canyon during a freak early winter storm. Cannibalism ensues. On this day in 1865, at roughly 10 PM, President Abraham Lincoln is shot once in the back of the head by popular stage actor, ardent secessionist and Confederate Secret Service agent John Wilkes Booth. Booth was part of a conspiracy of Confederate sympathizers who plotted the simultaneous assassinations of President Lincoln, Secretary of State William Seward and Vice President Andrew Johnson. Booth was the sole co-conspirator to succeed in carrying out his part in the plot. Although Seward was brutally slashed by Lewis Powell, he survived. George Atzerodt, VP Johnson's would-be assassin, lost his nerve and didn't even try. After shooting Lincoln, Booth beat a hasty retreat, but authorities caught up with him just before dawn on April 26. After a brief stand-off, the barn in which Booth was hiding was set on fire, then he was shot in the neck by Sergeant Boston Corbett, contrary to explicit orders that Booth be taken alive. Rumors persist to this day that the man Corbett shot was not Booth. Some believe Lincoln's assassin lived to a ripe old age under an assumed identity in Mexico. By mid-summer of 1865, eight of Booth's co-conspirators were found guilty of taking part in the assassination plot, and 4 were hanged by the neck until dead. 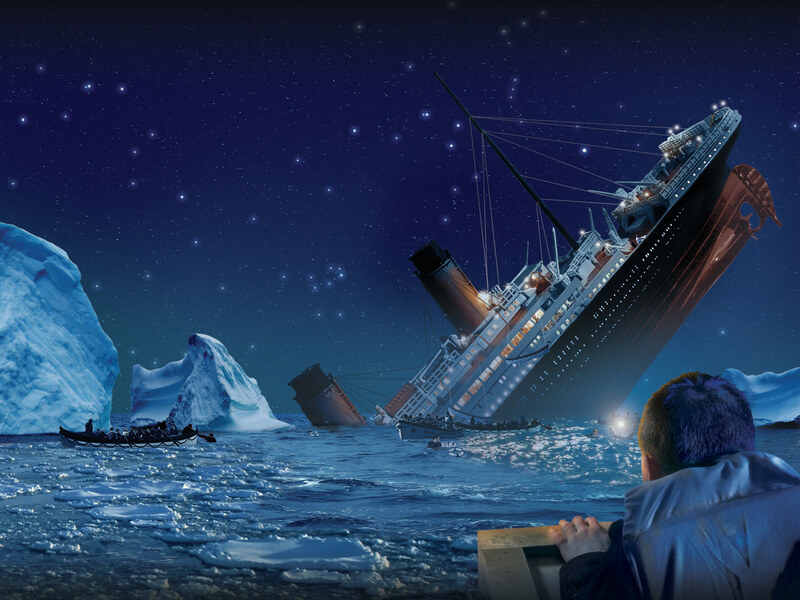 On this day in 1912, at 11:40 PM, the RMS Titanic hits an iceberg in the North Atlantic. The ship sinks the following morning, killing 1,517. It is the sinking that launched a great many conspiracy theories involving everything from an insurance scam switcheroo to the forced passage of the Federal Reserve Act... and one phenomenally successful (if somewhat sappy) Hollywood movies. On this day in 2002, two days after a CIA-backed businessman's coup is overturned by an outraged citizenry, Venezuelan President Hugo Chavez makes a triumphant and bloodless return to office. It would take another decade before the CIA would succeed in their attempts to remove Chavez from office again - this time, doing so in such a manner that precluded any odds-defying return to power. On this day in 2003, ten years ago to the day, the Human Genome Project announces that it has completed sequencing 99% of the human genome to an accuracy of 99.99%. Let the custom-built New World Order genocide pandemics begin!